Stuart Ramsey’s Turangga Farm Dispersal at Scone last year proved a huge success drawing buyers from all over the country, but not all the weanlings on the farm were offered, leaving five stunning youngsters to be presented next week at the Inglis Australian Easter Yearling Sale. All five are by well proven sires from proven producers making this a draft that requires no guesswork or speculation. You know what you are getting and you know it will be good! The Turangga Farm brand has delivered success at the highest level through horses such as Headway, Elite Falls and Highly Recommended, who now stands at Cambridge Stud in New Zealand, with current stars including Glenall, Champagne Cuddles and Violate. Fourth foal of a winning three-quarter sister to smart stakes-placed sprinter Glenall and half-sister to stakes-winner Panipique from brilliant Group III winner Our Quivira. 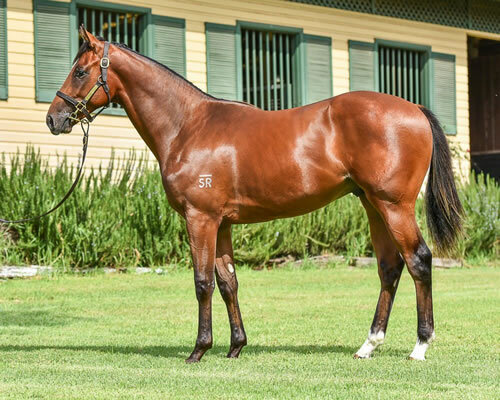 With six stakes-winners this season, Pierro is one of the hottest young sires in the land and this colt is bred the right way with all of his stakes-winners featuring Danehill blood on the female side of their pedigree. Closely related to the previous colt and is a sibling to two winners from stakes-winner Panipique. By Pierro’s great rival All Too Hard, who is also doing a great job with Group winners Villermont and Demonetization this season as well as some 45 individual winners. Full sister to Group II ATC Sweet Embrace Stakes winner Believe Yourself, who was also fourth in the Group I ATC Golden Slipper. Dam has had four foals to race all winners and is from Group I winner Good Faith from the family of Group I ATC Australian Oaks winner Daffodil. Half-sister to Group I placed Huegill from South African Group I winner Trust Antonia, a half-sister to two more SA Group I winners in Successful Bidder and Gold Flier. By leading sire Not a Single Doubt from a premium South African female family that keeps producing. Full brother to stakes-placed War Hero and half-brother to stakes-winner Tampiko beign from Group I winning sprinter Ancient Song. Dam has had six foals to race for four winners and comes from the family of four-time Group I winner and $3.4 million earner Preferment. See the draft at Barn I Stables 6 – 10.